I have a little note that I continuously update and save (using Evernote) that's full of little tips and strategies that I learn about or think about and want to include in a post at some point. Eventually, I wind up with a big collection of them. 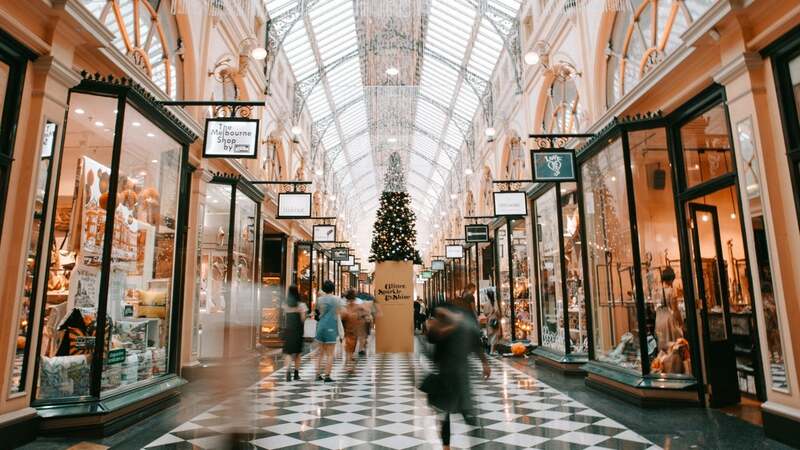 Here are eight of those ideas, little strategies for shopping so that you'll spend less money and wind up with fewer things that you don't really need. 1. The best place to make a decision about whether or not to buy something is before you ever enter the store. Yes, I've written many times about the value of a grocery list, but it goes even further than that. You should never walk into a store without the intent of buying something and without knowing almost exactly what you're going to buy. Why? Stores are designed to convince you in infinite subtle ways to buy stuff that you didn't plan on buying and that you don't really need. That's their purpose. If it was not their purpose, stores would be designed much differently, with the most commonly desired goods right near the front or even with a warehouse "picker" type system. Those types of systems are efficient for customers, but that's not what retailers want — they want you to buy. So, view every trip inside a store as a mission. You're going in there to buy something specific. Know what that specific thing is before you ever step foot in there. Don't go in there to be social. Don't go in there to hang out. Go in there to buy and get out. Find your entertainment and your social time outside of stores. 2. When you're buying something that's discounted, you're not saving money. You're just spending a little less. It's still spending and it's still knocking down your net worth. Businesses like to tell you how much you're "saving" when buying something at a sale price. Why, if something is originally $99.99 and they knock it down to $49.99, you're saving $50! Right? That's actually not accurate at all. Unless that item was something you absolutely needed, you're not saving money by buying the discounted item. You just happen to not be spending quite as much. Your net worth is still going down in order to afford something you don't really need. The reality is that a sale price should only figure into your consideration once you've already decided to buy the item. At that point, you've essentially committed to spending whatever the price of the item is, so a sale price in that situation actually is saving you a little money. 3. Customer rewards programs are OK, but there are tricks involved. Customer rewards programs are designed by companies to retain their regular customers and keep them coming back into the store. They usually require you to spend a certain amount at a store over several visits in order to earn some sort of perk, like a free sandwich or a free lunch. For example, our local pizza place has a coupon on each box that, when you get 10 of them, entitles you to a free large pizza of your choice. There are two catches to watch out for. One is that many such programs want your personal information, and when they have it, you're going to receive junk mail. This is particularly true of email addresses, so my strategy is to have a "junk email" address that I check only rarely that I use for signing up for such programs. I'll check it to see if there are any ongoing deals when I'm considering going out to eat, for example, as the email inbox is usually loaded with all kinds of offers. The other is that you shouldn't use a customer rewards program as a reason to spend money. In truth, it's much like a sale as described above; it does save you money, but only if you've already committed to buying the product. It's far cheaper, for example, to make a meal at home than it is to go out to eat. It's almost always far cheaper to bargain hunt than to "not worry about it" and just go to a familiar store with a customer rewards program. 4. When buying online, always do a reverse image search of anything that claims to be a picture of the original item. Whenever I see an item on eBay or another website with an image that claims to be of the original item, I copy that image and use Google Image Search to search the internet for that image. What I'll often find is that the same exact image has been used elsewhere, which is a sure indication that the picture I'm looking at is not the original item, and when that happens, I do not buy the item. Note that this is only true for items that aren't new. If they're new and in original packaging, a distinct picture is pretty unnecessary; I only use it on a used item where the condition is an important factor. 5. When you're buying something nonperishable that you use with any frequency at all, the only price that matters is the cost per unit. The sticker price truly doesn't matter on a big bundle of toilet paper, for example; all I look at is the cost per sheet. The same is true for things like dishwasher soap and garbage bags and rice and countless other items that we gradually use over a long period of time. Look at the cost per gram or the cost per kilogram or the cost per bag or the cost per sheet. Don't worry about what the actual sticker price is; instead, minimise the cost per unit. Why? You're going to use a certain amount each time you use that item regardless of which package you buy, so if you buy the package with the lowest cost per unit, it's going to cost you the least amount over the long haul. A jumbo container of garbage bags might cost $30, but if the cost per bag is lower, you're going to spend less over the long run. A container of 200 garbage bags for $30 is a better deal than 50 garbage bags for $10 every time (provided they're the same brand). 6. Going through your pantry and cupboards once a month is the best way to save on groceries. Virtually every time I go through my cupboards with an open mind, I end up finding enough odds and ends to make several complete meals and to provide the parts of several more meals. The reason is that when I find a big bargain at the grocery store, like jars of good pasta sauce for $1 or boxes of pasta for $1 or something like that, I'll stock up a lot and then, over the next few weeks, I'll forget that I have an abundance of those things. Cleaning out the pantry usually solves that problem. I'll often "bundle" items I find together into sensible meals, putting a package of pasta with a jar of pasta, for example, or putting stir fry sauces right next to the rice container. I'll then make a big list of all of the complete — or close to complete — meals that I already have in the pantry and draw from that list in my meal planning for the next week or two. This also keeps me from having items with a long shelf life — but not an infinite shelf life — from ever expiring in the back of the pantry, and it keeps us from having herbs and spices go stale, too. 7. Try to stretch out the time between shopping trips to the length of time that fresh foods stay fresh in our fridge and pantry. For most of our fresh items, that's usually somewhere between a week and two weeks, so I try to plan things so that the items that go bad the fastest get used first and the other items stick around for a while in the crisper. The longer I can wait between grocery shopping trips, the less time I have to spend in the store overall and the more efficient I am when I actually have to go on one of those grocery shopping "mega trips". The less time I have to spend in the store, the less likely I am to put impulse items in my shopping cart, which means that we spend a lot less on groceries. 8. Take pictures of every receipt you get with your smartphone. This is a strategy I've switched to recently. I used to keep all of my receipts in my pocket, but I often found that I would lose them or drop them somewhere along the way and so the record would sometimes be incomplete. If I just use my smartphone to take a picture of every single receipt as I pick it up, I always have a record of my spending. Since I use You Need a Budget to track our family's spending and future planning, having all of those receipts in one place is really useful. To be specific, I take pictures of my receipts with Evernote, which stores them in a note that I can easily access from my computer later on. It sticks around there until I enter the information into You Need a Budget. Hopefully, you can take at least one of these tips and do something useful with it that will help cut back on your costs the next time you go shopping or help you make better decisions with your money going forward. Good luck! Image by Heidi Sandstrom via Unsplash. I give myself a limit on how much I want to spend on food shopping, I add each price together using a calculator and if I reach my limit and I still need other things, I then put back what I "want" and purchase what I "need"